In Southampton there are a range of benefits associated with a keyless door entry system, also known as an access control system. It allows you to control who enters your premises, gives peace of mind that staff and property inside the building have extra security, it enables you to monitor who enters and exits and when, it eradicates the risk of stolen or lost keys and it allows you to set different levels of security to multiple zones within one building. 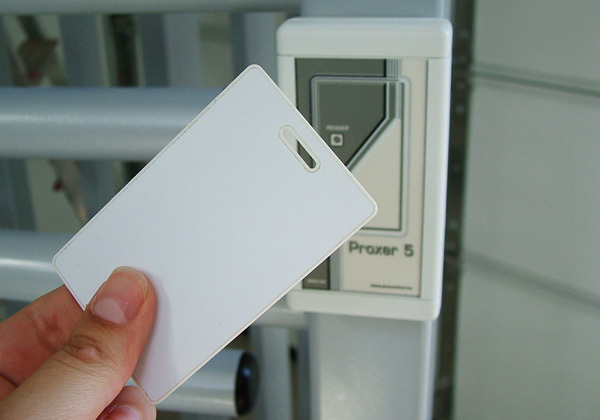 An access control system (keyless Entry) offers complete control over who can enter the building and which areas they can access which can be controlled via an access code, key fob or swipe card. Such a system offers a more secure solution than keys as access methods can easily be deactivated should they be lost or stolen or need to be revoked. For reasons of safety, the system can be automatically unlocked in the case of fire or other emergency. Open doors expose your business to unnecessary risk of a security breach. With an access control system doors automatically lock behind entrants and can even be set to lock at specified times of the day or night. Codes can be changed regularly to maintain consistent security levels at all times. ACQ Locksmiths Ltd work across the Southampton area and can devise and install a wide range of keyless entry systems for businesses from simple key pad systems to video intercom and even biometric (fingerprint recognition) systems. Our engineers are qualified and experienced and will put together a bespoke system according to your requirements.